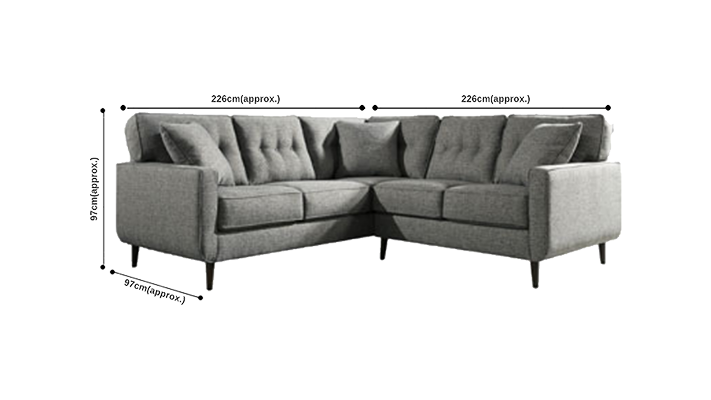 Introducing the Chicago 2-piece corner style sectional lounge suite in charcoal gray. 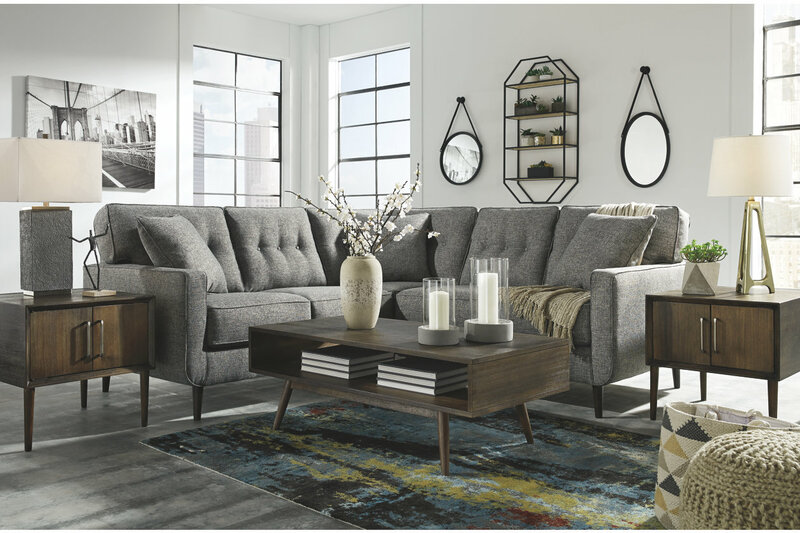 Chicago serves up on point style, with classic tufted back cushions and tapered peg legs. 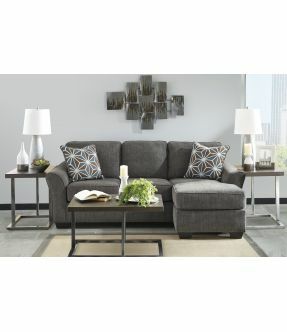 The sofa's lean, linear design is perfectly proportioned to bring "big style" to smaller spaces. The Chicago sofa's unique 'platform foundation system' resists cushion sagging over three times better than traditional spring systems - as laboratory tested over more than 20,000 testing cycles, featuring permanently attached back and loose seat cushions from high-resiliency foam cushions in thick poly fiber. Chicago's look is completed with the two toss pillows included.